Seen Around Town: Blanche Field Bespoke Lampshades and more…If you want something truly special, and uniquely yours, this is the place to get it! Now back with a delicious salad recipe, the Designer Daughter is here with another guest post! After last time’s delicious, but admittedly less-than-nutritious bacony, cheesy flatbread, I felt like something lighter and healthier was in order. I love plants. Really. I do. And I can even keep some of them alive as long as I can reach them easily with a hose while standing on my deck with my morning mug of tea. There are many different shapes and sizes of windows, and some present more of a challenge than others when it comes to treating them. With any window, you first need to know what you are trying to accomplish - adding softness and pattern to a room, framing a view, providing privacy or light control or all of the above! Transom windows, arched windows, Palladian windows, dormers and cathedral ceilings and unusual rooflines all add to the conundrum. Today, we are shedding some light on light bulbs. How do you know which light bulb to buy? Soft white? Halogen? LED? Fluorescent? WHICH LED or fluorescent? Do I want ‘warm’, or ‘cool’, or ‘white’, or ‘full spectrum’, or ‘daylight’, or ‘natural’? And what do all those numbers mean? The light bulb aisle is a vast and confusing place these days. 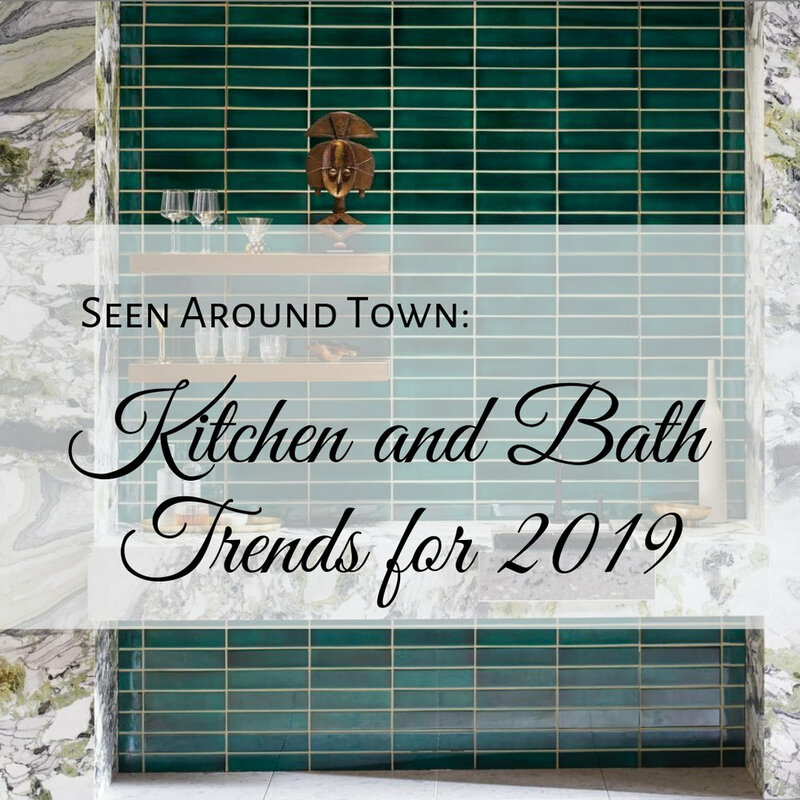 So, I’ve run into several , let’s just say, unusual bathtubs in the last few weeks doing some research, and it got me thinking that perhaps it was time to devote a whole post to the subject of bathroom fixtures. 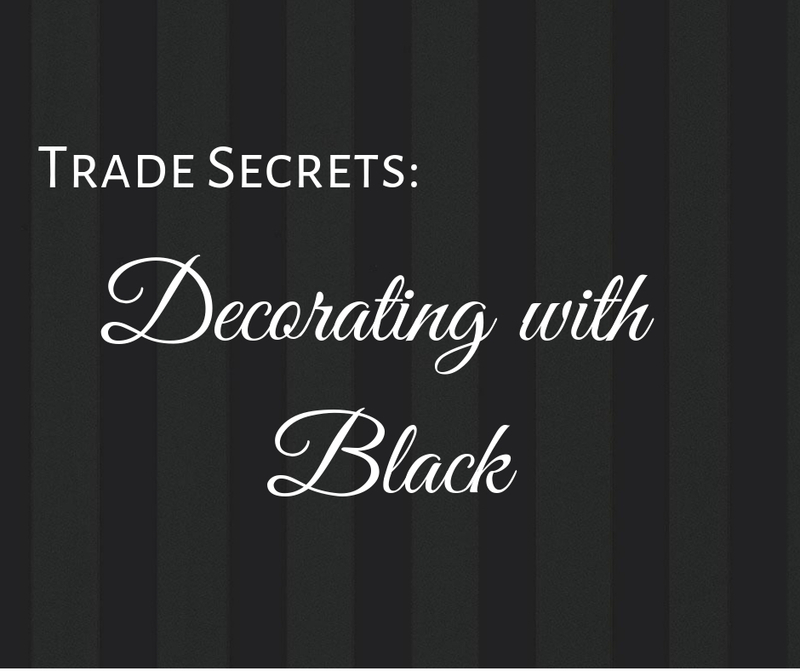 Black is the newest darling in decorating trends, but is it a fad or a classic? And why did it crash onto the decorating stage? I love all things that are beautifully designed, and I have a particular fondness for stationary products. In this age of email and text and FB chat and imessaging, it’s refreshingly civilized to send a message that is thoughtful and beautiful using tangible paper! I discovered some new (to me) beauties this weekend while out and about and I had to write a quick post to share! All home decor cycles through trends. Some are fun, but short-lived, some we hope will be short-lived, and some are trends that turn into new classics. Hindsight is 20/20, of course, but when you aren’t sure if a trend will be dated down the road, what should you do? Are you wondering whether to invest in staging your home? *Spoiler alert* The answer is yes! It’s called staging for a reason - your home is like a stage set where the buyers will need to envision living their best lives. Staging helps them see that story and imagine what it would be like to live there. 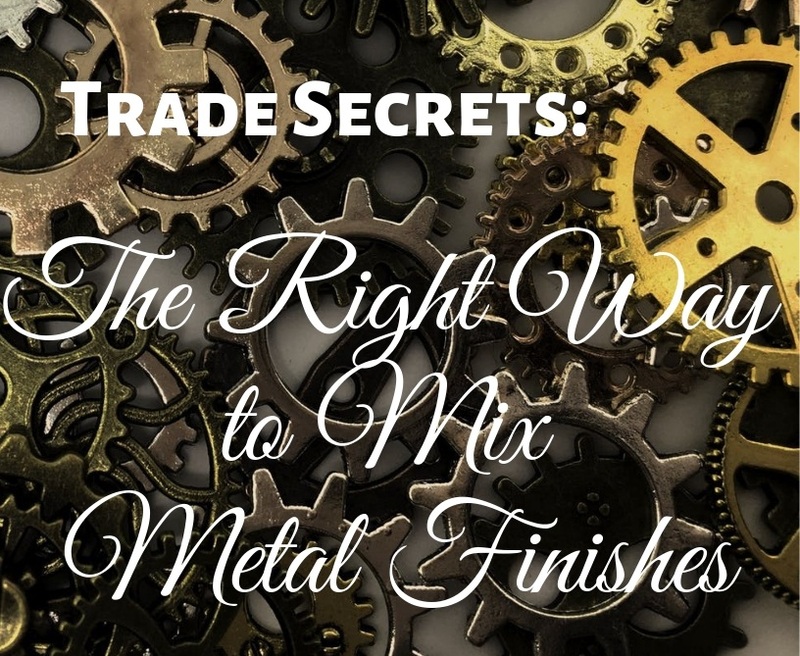 I received an email recently asking about cabinet hardware and what finish she should choose and it got me thinking about the art of mixing metal finishes. Curtains, or window treatments, which encompasses shades and hard treatments like blinds and shutters as well, are the finishing touch that makes a room feel complete. There are many compelling reasons to add them. Whenever you are designing a room, whether you are accessorizing, redecorating, remodeling a room in your house, or moving to a new home entirely, the number one route to a successful outcome is to have a well thought out PLAN. Super Bowl Sunday, which is terribly important to a lot of people in New England, is here. But for me it’s is all about the refreshments! Whether you are hosting a Super Bowl Party or just want a perfect winter meal, this is the best chili recipe I have ever had. Lamps. We all need them. Overhead lights, if they exist in a room, are not conducive to reading or creating a pleasant, relaxing atmosphere. For spaces where the furniture arrangement may be flexible, and light is needed at eye level, lamps are the only option. And it is not that easy to find a good one!